HOW DO WE GIVE YOUR CHILD A STRONG START IN LIFE AND LEARNING? I’m Marc Hoffman, founder and Executive Director of Strong Start Early Care and Education. I’m devoted to making sure that all children have access to quality education. Strong Start is the result of decades of experiences my team and I have had as educators, researchers and leaders of other successful early learning centers. THIS IS THE EXPERIENCE I WOULD HAVE WANTED AS A CHILD MYSELF. Research tells us that no two children learn alike. So in creating Strong Start, I applied my experiences not only as an educator and social activist, but also as a young student who would have benefited from a program that acknowledged that we all learn in our own unique ways. PHYSICAL AND EMOTIONAL SECURITY ARE THE KEYS TO EVERYTHING. We’ve created an environment where your child will feel physically and emotionally secure and happy. Feeling secure unlocks confidence and learning potential, allowing for natural exploration and inquiry about the world. AN EDUCATIONAL PHILOSOPHY FOR YOUR CHILD’S MOST IMPORTANT YEARS. 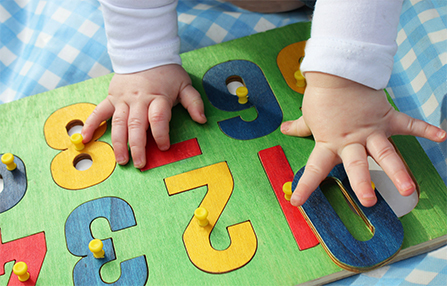 The curriculum is built upon the Connecticut Early Learning and Development Standards that begin a continuum of learning from birth through preschool, and aligns with state and national standards for kindergarten through grade three. EDUCATIONAL GOALS THAT BUILD LIFELONG SKILLS. Be creative. Through novel approaches to solving problems that promote learning, exploring and thinking over achieving a specific result or answer. Be inquisitive. By exploring his or her world, seeking new information and asking questions. Be flexible. Adapting to new situations and new environments that develop flexibility in responses. Be critical thinkers. Organizing and using information, as well as understanding concepts behind specific skills. Be purposeful and reflective. Using active play to promote planning experiences, setting goals and celebrating accomplishments. Be social learners. Interacting with peers and adults to ask questions and to jointly solve problems. 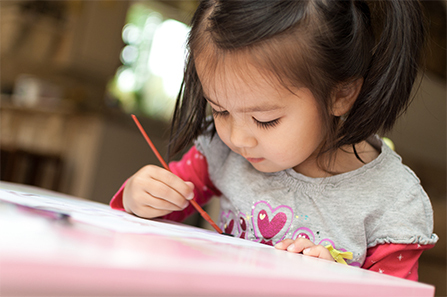 See how our inquiry-based curriculum and emotional and physical security can help your child make the transition to Kindergarten and beyond. Schedule your tour now!